Russian Composer, most famous for his opera Boris Godunow; also wrote A Night on Bald Mountain and Pictures from an Exhibition. Little formal education; Heavy drinking took its toll; died at 42. Modest Moussorgsky was a Russian composer of the nineteenth century, most famous for his nationalistic opera, Boris Godunov. He is also well known for his orchestral work, “A Night on Bald Mountain” and for his virtuoso piece for the piano—“Pictures at an Exhibition”, later brilliantly orchestrated by Maurice Ravel. He is also the composer of many songs, including his most famous cycle, “Songs and Dances of Death” (Venus conjunct Pluto). Moussorgsky sought to express himself in a characteristically Russian genre; he avoided imitating French, Italian or German music, and, instead, drew his melodies and harmonies from traditional Russian folk and church music. The connection between Russia and France—both with personalities ruled by Leo—had considerable influence upon Russian culture, but he numbered himself among those sought to create music which was distinctly and recognizably Russian. In so doing, he demonstrates the influence of the nationalistic and patriotic sixth ray, and relates himself as well to his proposed Ascendant, Cancer, which inclines those it influences to express love for the native land—“home”. Moussorgsky, then, was a pioneer (Aries Sun, Mercury, Venus and Pluto) in a new Russian style of musical expression. His work was deeply psychological (Pluto conjunct Venus, and the fourth ray), but it was rough and exuberant rather than refined. Many of his songs are so driving (Aries) that they offer the singer simply no opportunity for a breath. Moussorgsky, who possessed, it would seem, very little seventh ray, did not write with niceties (such as interludes for rest) in mind. After his death, his music, in some cases, had to be re-worked and re-orchestrated because, like a typical Aries, his interest, often, was in stating the idea rather than working it out to completeness. Yet, Mars, the exoteric ruler of his Aries Sun was, after all, in Virgo, and exacting Saturn was trine to Mercury, and, as well, disciplining Saturn sextiled the abandon of Neptune, so, in musical matters, he was not careless either. His work abounds with passion (four Aries planets), dark brooding, often on death (Pluto conjunct Venus), sudden contrasts (fourth ray), expansive feeling (grand trine between Jupiter, Neptune and the Moon) and exalted idealism (sixth ray Mars, his Aries Sun ruler in sixth ray Virgo, and sixth ray Neptune, esoteric ruler of his speculative Cancer Ascendant, in idealistic Aquarius in the ninth house). This important Neptune is connected with his sixth ray urge for transcendence which can be heard in full power in the glorious coronation scene at the end of the first act of Boris Godunov; the level of praise and exaltation is, in the opinion of the author, practically unparalleled in the entire operatic repertoire. Russian music has the reputation for being “heavy”, and in many ways, Moussorgsky’s music was often dark and heavy, but it was also grand and at times thrillingly beautiful—and he could certainly produce a deft and “light touch” (the gift of his Moon in Gemini). The fourth and sixth rays are most in evidence, with an evident lack (certainly in daily life) of the seventh. He was deeply imbued with the fervent religious spirit of Russia with its sixth ray personality. His life, uneven, conflicted, frustrated, almost tortured, reflected the fourth ray. He was forced to work in a bank to make ends meet (perhaps indicated by Saturn, the planet of discipline, in the house of necessary labor—rather than chosen labor). Moussorgsky’s was a life upon the Mutable Cross—reflected by the two oppositions—Saturn in Sagittarius widely opposing Moon in Gemini, and Uranus in Pisces opposing Mars in Virgo. Therein, lay much of his suffering. It is difficult to discern which of these rays might be the soul ray and which the personality ray. There are some similarities with the life of Vincent Van Gogh (and the same rays). The artistic medium was different, but the Sun Sign was the same, and if speculation about Moussorgsky is correct, the Rising Sign as well. There were also similar suicidal themes. Van Gogh was more direct and more violent. Moussorgsky simply drank himself to death. Each lived a short life, and each contributed great and original works of art to the treasury of civilization. MDR Speculation based upon appearance. 50,000 Birthdays lists 1829. Is Libra rising. Saturn is in the second and Sun in the 6th, which shows that he had financial difficulties and had to work in a bank, 6th house. Also, Mars is in Virgo--more of the same difficult labor. Another chart would yield Cancer Rising. The minute facets of human nature and human masses, a pernicious taking apart of these little-studied worlds and the conquering of them – there lies the true vocation of an artist. The idea of a work based on the fantasy of a Witches' Sabbath long fascinated Moussorgsky, and he wrote several versions of the work now known as 'A Night on Bare Mountain'… In a letter dated July 12, 1867 Moussorgsky spoke of the program that inspired him. "If I remember aright, witches used to emble on that mountain there to jabber and disport themselves pending Satan's arrival. When he appeared, they formed a circle around his throne and glorified him. When he felt sufficiently stimulated by their praise, he gave the signal for the Sabbath to begin...Well, that's how I've done the thing! (1) the embling, the jabber and prank; (2) Satan's train; (3) the obscene glorification and (4) the Sabbath. I want to speak the language of truth to men! St. Petersburg, 1874). Other important works are the opera Khovanshchina (1886); the piano suite Pictures at an Exhibition (1874), later orchestrated by Maurice Ravel; A Night on Bald Mountain (1867), for orchestra; and many songs and three song cycles. Most of Moussorgsky’s music was edited and revised after his death by Nicolai Rimsky-Korsakov and others, often to such an extent that the originals were seriously misrepresented. Moussorgsky made much use of Russian folk songs, and his settings of Russian texts are unexcelled. Expression and communication were paramount for him; form, inconsequential. In working out a Russian idiom, his rejection of many European standards and practices influenced not only Russian composers but also Claude Debussy and other French composers. Mussorgsky also spelled MUSORGSKY, OR MOUSSORGSKY Russian composer noted particularly for his opera Boris Godunov (final version first performed 1874), his songs, and his piano piece Pictures from an Exhibition (1874). Mussorgsky was the son of a landowner but had peasant blood, his father's grandmother having been a serf. According to his autobiographical sketch, written in 1881, Mussorgsky claimed that he learned about Russian fairy tales from his nurse. "This early familiarity with the spirit of the people, with the way they lived, lent the first and greatest impetus to my musical improvisations. . . ." His mother, herself an excellent pianist, gave Modest his first piano lessons, and at seven he could play some of Franz Liszt's simpler pieces. St. Petersburg , where Modest attended the Peter-Paul School in preparation for a military career. At the same time, mindful of Modest's musical bent, their father entrusted the boys to Anton Gerke, future professor of music at the St. Petersburg Conservatory. In 1852 Mussorgsky entered the School for Cadets of the Guard. There, in his first year he composed his Podpraporshchik (Porte-Enseigne Polka), published at his father's expense. Although not the most industrious of students, he gave proof of tremendous curiosity and wide-ranging intellectual interests. Since the death of their father (in 1853), the Mussorgsky brothers had seen their poorly administered patrimony decrease substantially. With the freeing of the serfs in 1861, it vanished. 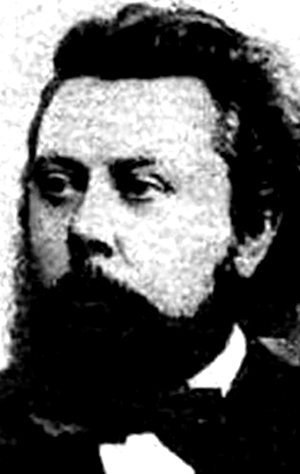 Mussorgsky, having decided to devote himself to music, had quit the army three years earlier and since 1863 had been working as a civil servant in the Ministry of Communications. His distressing financial troubles date from that time, and he had to seek the help of moneylenders. Mussorgsky achieved artistic maturity in 1866 with a series of remarkable songs about ordinary people such as "Darling Savishna," "Hopak," and "The Seminarist," and an even larger series appeared the following year. Another work dating from this time is the symphonic poem Ivanova noch na Lysoy gore (1867; Night on Bald Mountain). In 1868 he reached the height of his conceptual powers in composition with the first song of his incomparable cycle Detskaya (The Nursery) and a setting of the first act of Nikolay Gogol's Zhenitba (The Marriage). In 1869 he began his great work Boris Godunov to his own libretto based on the drama by Aleksandr Pushkin. The first version, completed in December 1869, was rejected by the advisory committee of the imperial theatres on account of the plot's lack of a love interest. In response, the composer subjected the opera to a thorough revision and in 1872 put the finishing touches to the second version, adding the roles of Marina and Rangoni as well as several new episodes. The first production of Boris took place on Feb. 8, 1874 , at St. Petersburg and was a success. In 1865, after the death of his mother (Note this) , he lived with his brother, then shared a small flat with the Russian composer Nikolay Rimsky-Korsakov until 1872, when his colleague married. Left very much alone, Mussorgsky began to drink to excess, although the composition of the opera Khovanshchina perhaps offered some distraction (left unfinished at his death, this opera was completed by Rimsky-Korsakov). Mussorgsky then found a companion in the person of a distant relative, Arseny Golenishchev Kutuzov. This impoverished 25-year-old poet inspired Mussorgsky's two cycles of melancholy melodies, Bez solntsa (Sunless) and Pesni i plyaski smerti (Songs and Dances of Death). At that time Mussorgsky was haunted by the spectre of death--he himself had only seven more years to live. The death of another friend, the painter Victor Hartmann, inspired Mussorgsky to write the piano suite Kartinki s vystavki (Pictures from an Exhibition; orchestrated in 1922 by the French composer Maurice Ravel). The last few years of Mussorgsky's life were dominated by his alcoholism and by a solitude made all the more painful by the total neglect of his friends, who, Balakirev included, treated him like an outcast. Nonetheless, the composer began his opera Sorochinskaya yarmarka (unfinished; Sorochintsy Fair), inspired by Gogol's tale. As the accompanist of an aging singer, Darya Leonova, Mussorgsky departed on a lengthy concert tour of southern Russia and the Crimea . On his return he tried teaching at a small school of music in St. Petersburg . On Feb. 24, 1881 , three successive attacks of alcoholic epilepsy laid him low. His friends took him to a hospital where for a time his health improved sufficiently for one of the leading Russian artists of the day, Ilya Repin, to paint a famous portrait of him. Mussorgsky's health was irreparably damaged, however, and he died within a month. Mussorgsky's importance and influence on later composers are quite out of proportion to his relatively small output. Few composers were less derivative, or evolved so original and bold a style. The 65 songs he composed, many to his own texts, describe scenes of Russian life with great vividness and insight and realistically reproduce the inflections of the spoken Russian language. Mussorgsky's operas Boris Godunov and to a lesser extent Khovanshchina display his dramatic technique of setting sharply characterized individuals against the background of country and people. His power of musical portrayal, his strong characterizations, and the importance he assigned to the role of the chorus--all expressions of his anti-Romantic convictions--establish Boris Godunov as a masterpiece. From a technical standpoint, Mussorgsky's unorthodox use of tonality and harmony and his method of fusing arioso and recitative provide Boris Godunov with a dramatic intensity that he failed to recapture in his subsequent operas. Shortly after Mussorgsky's death, his original harmonic and instrumental style was unjustifiably criticized. Subsequently, Rimsky-Korsakov, with the well-meaning intention of purging Mussorgsky's works of what he considered to be their harmonic eccentricities and instrumental weaknesses, edited and "corrected" almost the entire output of the deceased composer; Rimsky-Korsakov's widely performed edition of Boris Godunov is the best known of these works. From about 1908, however, after the production of Rimsky-Korsakov's version of Boris Godunov at the Paris Opera, there was a growing demand for the original versions of Mussorgsky's works, which were made available beginning in 1928 in a collected edition edited by Paul Lamm. This edition displayed Mussorgsky's original orchestration for Boris Godunov, which is as stark and economical as his unorthodox harmony. Born March 21, 1839 , in Karevo, Mussorgsky was educated privately and at a military academy in Saint Petersburg. When he was 18 years old Mussorgsky met the Russian nationalist composer Aleksandr Dargomyzhsky, through whom he joined the circle of Russian nationalist composers now known as The Five. In 1858 he resigned from military service to devote himself to music; after 1863 he supported himself as a government clerk. Musically, Mussorgsky was self-taught, except for some study with two members of The Five, Mily Balakirev and Nikolay Rimsky-Korsakov. His bold, unorthodox harmonies, based on the scales of Russian folk music, influenced later non-Russian composers. 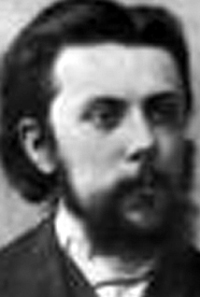 Mussorgsky died on March 28, 1881 , in St. Petersburg. His songs, among the finest of the 19th century, reflect his desire to reproduce the rhythms and contours of Russian speech. So also does his masterpiece, the opera Boris Godunov, based on a drama by the Russian author Aleksandr Pushkin.